Is meatloaf your comfort food? 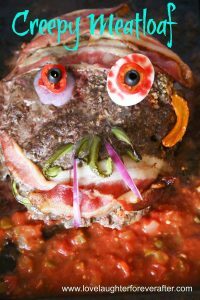 Meatloaf is one of the recipes that I crave from time to time, it’s a childhood favourite of mine. It’s one of the most versatile dishes you can make but I found out from a few friends that a lot of them are just not that confident to cook it. 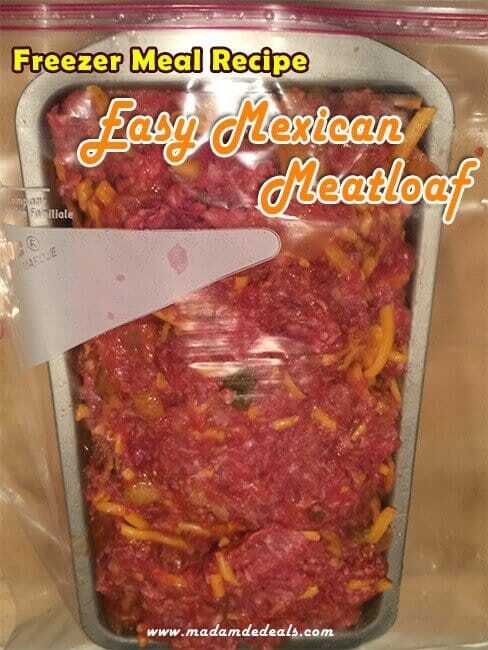 Well to solve that problem, I’m sharing my super Easy Mexican Meatloaf recipe. 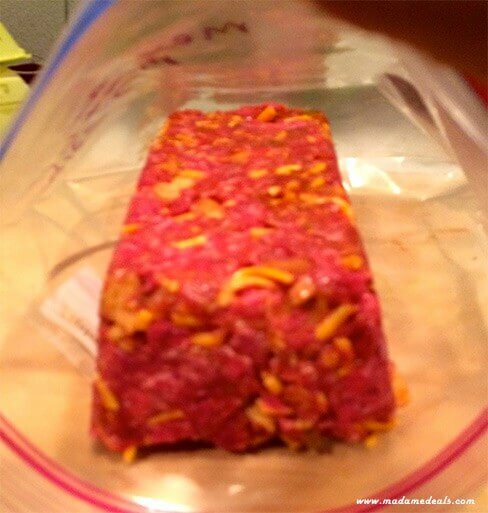 This tasty recipe can be freezed and you can even cook it in your crockpot. I am a freezing cooking girl and I love my crockpot so this is what I did. I put mine in a pan and I turned it over inside of a galloon freezer bag. I flipped the meatloaf over and I took it out of the pan. Then I froze it. 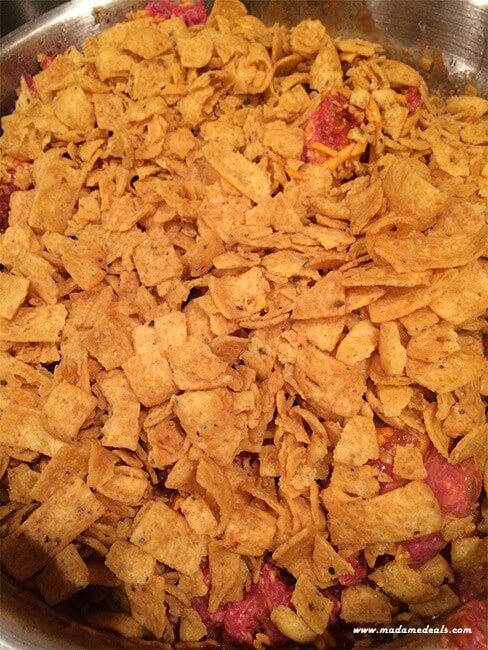 You can place it in your crock pot for 6-8 hours on low. I absolutely love this recipe. You can top it with ketchup. I however decided to add more salsa to mine. So how did this turn into this ? 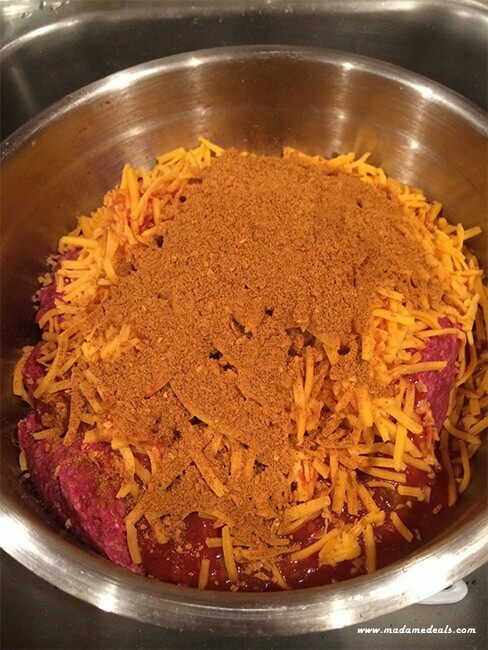 Also check out my favorite Crockpot Freezer Meal Recipes!